The term "Content" means any and all postings, messages, text, files, images, photos, video, sounds, or other materials posted on, transmitted through, and available through this Site. This Site is a commercial site NOT intended for use by children or anyone under the age of 18 years of age. You must be at least 18 years of age to make a purchase on this Site's online store. All references on this Site to information, materials, products and services apply to information, materials, products and services available in the countries or jurisdictions specified with respect to such information only, unless otherwise stated. Items purchased from this site are sold to you for your personal use and not for resale. Dansko reserves the right, at Dansko's sole discretion, to limit the quantity of items sold or to refuse sale of items to any customer at any time. Unless otherwise indicated, this Site and its design, text, content, selection and arrangement of elements, organization, graphics, design, compilation, magnetic translation, digital conversion and other matters related to this Site are protected under applicable copyrights, trademarks and other proprietary (including, but not limited to, intellectual property) laws, including without limitation those of the United States, and all rights therein are the property of Dansko or the material is included with the permission of the rights owner and is protected pursuant to applicable copyright and trademark laws. Neither this Site, nor any portions thereof, may be used, copied, reproduced, distributed, republished, downloaded, modified, displayed, posted or transmitted in any form or by any means, including, but not limited to, electronic, mechanical, photocopying, recording, or otherwise, without our express prior written permission. Permission is hereby granted to the extent necessary to lawfully access and use this Site and/or information, materials, products and/or services available on it to display, download, archive and print in hard copy, portions of this Site on a temporary basis and for your individual use only, provided you do not modify the materials and that you retain any and all copyright and other proprietary notices contained in the materials. Your use of and browsing of this Site are at your risk. Neither Dansko nor any other party involved in creating, producing, or delivering this Site is liable for any direct, incidental, consequential, indirect, or punitive damages arising out of your access to, or use of, this Site. Without limiting the foregoing, everything on this Site is provided to you "AS IS" WITHOUT WARRANTY OF ANY KIND, EITHER EXPRESSED OR IMPLIED, INCLUDING, BUT NOT LIMITED TO, THE IMPLIED WARRANTIES OF MERCHANTABILITY, FITNESS FOR A PARTICULAR PURPOSE, OR NON-INFRINGEMENT. Please note that some jurisdictions may not allow the exclusion of implied warranties, so some of the above exclusions may not apply to you. Check your local laws for any restrictions or limitations regarding the exclusion of implied warranties. Dansko also assumes no responsibility, and shall not be liable for, any damages to, or viruses that may infect, your computer equipment or other property on account of your access to, use of, or browsing in this Site or your downloading of any materials, data, text, and/or images from this Site. You hereby release and hold harmless Dansko, its parent, affiliates, subsidiaries, agents and advisors and their respective employees, officers, directors, shareholders, agents and representatives from and against any and all losses, damages, rights, claims and actions of any kind arising in connection with your use of this Site and/or in connection with Dansko's use of the Content. In consideration for your agreement herein, Dansko will provide access to this Site. You agree to reimburse and indemnify Dansko and its licensees and sublicensees and assigns for any and all damages and expenses (including attorney's fees and costs) that they may incur from claims based on use of the Content. You hereby release and hold harmless Dansko, its parent, affiliates, subsidiaries, agents and advisors and their respective employees, officers, directors, shareholders, agents and representatives from and against any and all losses, damages, rights, claims and actions of any kind arising in connection with using and/or submitting Content. Dansko does not consider this Site to be of interest to anyone under the age of 18. However, Dansko believes that parents should supervise their children's online activities and consider using parental control tools available from online services and software manufacturers that may help provide a child-friendly online environment. These tools may also prevent children from disclosing online their name, address, and other personal information without parental permission. Personal information about or obtained from a child will not be used for commercial or trade purposes without the prior written consent of a parent or legal guardian of the child. By submitting Content to be used on this Site, you agree that Dansko may use your name, voice, or image and any quotes attributable to you, and any such photos, videos, or audio recordings of or by you as described herein. You grant the rights hereunder whether or not your name, voice, or image, or any quotes attributable to you are used in any manner by Dansko and Dansko reserves the right in Dansko's sole discretion NOT to use any submitted content. You grant these rights to Dansko worldwide, irrevocably, royalty-free, with the perpetual right and license to copy, reproduce, modify, edit, make derivative works, distribute, publish (publicly or otherwise), display, link to, and otherwise use the Content in any media for any purpose including but not limited to publication on this Site, advertising, and other commercial uses in connection with this Site. You waive all rights related to Dansko's use and release, discharge and hold harmless Dansko, its officers, directors, employees, agents, contractors, successors and assigns from any claims, causes of action, damages, costs or expenses of any sort arising out of or connected with the use of your name, voice, or image, or any quotes attributable to you. You further understand and agree that online visitors to this Site may view the Content and may comment on the Content as they see fit such as in (but not limited to) contests or polls. you understand and agree that the Content may be cropped, edited, electronically manipulated or otherwise altered for use in this Site, without further consent or approval, and that whether or how the Content is used in this Site is entirely within Dansko's sole discretion. you certify that you are the original author (or have a written assignment of all rights from the author) of the submitted Content; and you are the sole copyright owner of the Content; that you are the only person depicted in the Content; and you have complete authority to grant to Dansko the rights stated herein. you understand and agree that all Content is subject to review and editing by Dansko prior to any posting or use by Dansko. You further acknowledge that Dansko reserves the right to remove any Content from this Site at any time and for any reason at Dansko's sole discretion. CONTENT POSTED ON THIS SITE. You understand and agree that Dansko may review and delete any Content that in the sole judgment of Dansko violates this Agreement or which might be offensive, illegal, or that might violate the rights, harm, or threaten the safety of others. By posting Content to any public area of Dansko, you automatically grant, and you represent and warrant that you have the right to grant, to Dansko an irrevocable, perpetual, non-exclusive, fully paid, worldwide license to use, copy, perform, display, and distribute such information and content and to prepare derivative works of, or incorporate into other works, such information and content, and to grant and authorize sublicenses of the foregoing. post non-local or otherwise irrelevant Content, repeatedly post the same or similar Content or otherwise impose an unreasonable or disproportionately large load on our infrastructure. Even though all of this is strictly prohibited, there is a small chance that you might become exposed to such items and you further waive your right to any damages (from any party) related to such exposure. You must use this Site in a manner consistent with any and all applicable laws and regulations. You may not engage in advertising to, or solicitation of, others to buy or sell any products or services through this Site. You may not transmit any chain letters or junk email to others. Although Dansko cannot monitor the conduct of its users off this Site, it is also a violation of these rules to use any information obtained from this Site in order to harass, abuse, or harm another person, or in order to contact, advertise to, solicit, or sell to any user of this Site without their prior explicit consent. 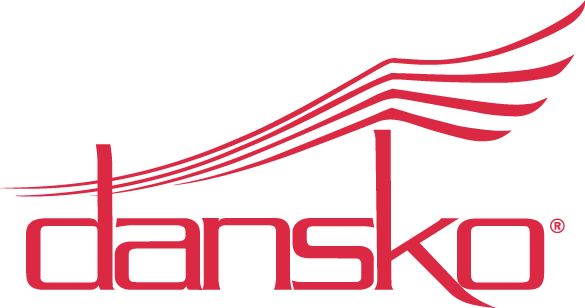 All materials and information on this Site, including, without limitation, the Dansko logo, design, text, graphics, software, other files, and the selection and arrangement thereof are protected by copyrights that are owned or licensed by Dansko, or otherwise used with permission by Dansko. You may not reproduce, perform, create derivative works from, republish, upload, post, transmit, or distribute in any way whatsoever any Content from this Site or any other site owned or operated by Dansko without the prior written permission of Dansko. Any modification of the Content, or any portion thereof, or use of the Content for any other purpose constitutes an infringement of Dansko's copyrights and other proprietary rights. Use of the Content on any other site or other networked computer environment is prohibited without prior written permission from Dansko. A notarized statement that the information in the notification is accurate, and under penalty of perjury, that the complaining party is authorized to act on behalf of the owner of an exclusive right that is allegedly infringed. Dansko's trademarks are protected by federal and state law in the United States and throughout the world, and may not be copied or imitated. Dansko's trademarks include (but are not limited to) the following trademarks: DANSKO, DANSKO & WING Design, DOODAD Design, SKANDO, SOLVEI, SOLVEI Design, WORK WONDERS, WORK WONDERS BY DANSKO, and WORK WONDERS BY DANSKO & Design. Other names and brands used on this Site may be claimed as the property of others. These trademarks may not be copied, imitated, or used, in whole or in part, without the prior written permission of Dansko or the rights holder. In addition, all page headers, custom graphics, button icons, and scripts are service marks, trademarks and/or trade dress of Dansko, and may not be copied, imitated, or used, in whole or in part, without the prior written permission of Dansko. This Site may contain links and/or advertisements to other websites maintained by us in addition to links to websites maintained by unrelated companies and persons. An advertisement of, or link to, a non-Dansko website does not mean that we approve, endorse or accept any responsibility for that website, its content or use, or the use of products and services made available through such website. You are responsible for providing and maintaining all personal computer and communications equipment and Internet access accounts necessary to gain access to this Site. In consideration of your use of this Site, you agree to use this Site in a manner consistent with any and all applicable rules and regulations. You agree not to upload or transmit through this Site any computer viruses, trojan horses, worms or anything else designed to interfere with, interrupt or disrupt the normal operating procedures of a computer. Any unauthorized modification, tampering or change of any information, or any interference with the availability of or access to this Site is strictly prohibited. Dansko reserves all rights and remedies available to it. We reserve the right to modify, edit, delete, suspend or discontinue, temporarily or permanently this Site (or any portion thereof) and/or the information, materials, products and/or services available through this Site (or any part thereof) with or without notice. You agree that we shall not be liable to you or to any third party for any such modification, editing, deletion, suspension or discontinuance of this Site. You hereby consent and waive all objection to the exclusive jurisdiction of the federal and state courts in the Commonwealth of Pennsylvania and venue therein to resolve any controversy or claim of whatever nature arising out of or relating to use of this Site. However, we retain the right to bring legal proceedings in any jurisdiction where we believe that infringement of this agreement is taking place or originating.